Recovery Tap Adaptor Subs are available in all sizes to adapt your drill string or casing thread to a Recovery Tap. These subs are machined from high quality alloy steel and depending on the size and thread configuration, may be heat treated and/or identified with special geometries. 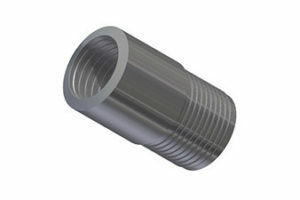 Di-Corp offers both Rod to Casing and Rod to Rod Recovery Tap Adaptor Subs.